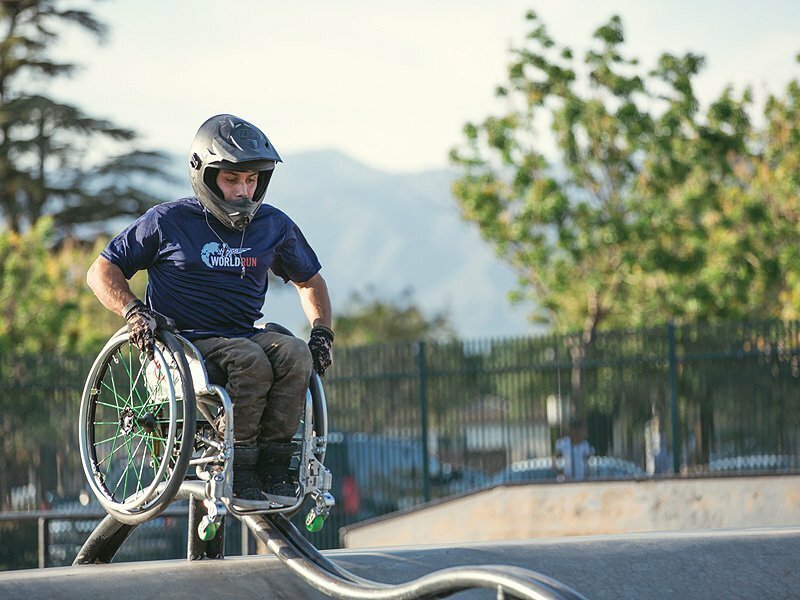 For Aaron Fotheringham, using a wheelchair doesn’t mean adventure isn’t possible. The Las Vegas native, who was born with spina bifida, started using a wheelchair around the age of 8 due to chronic pain. 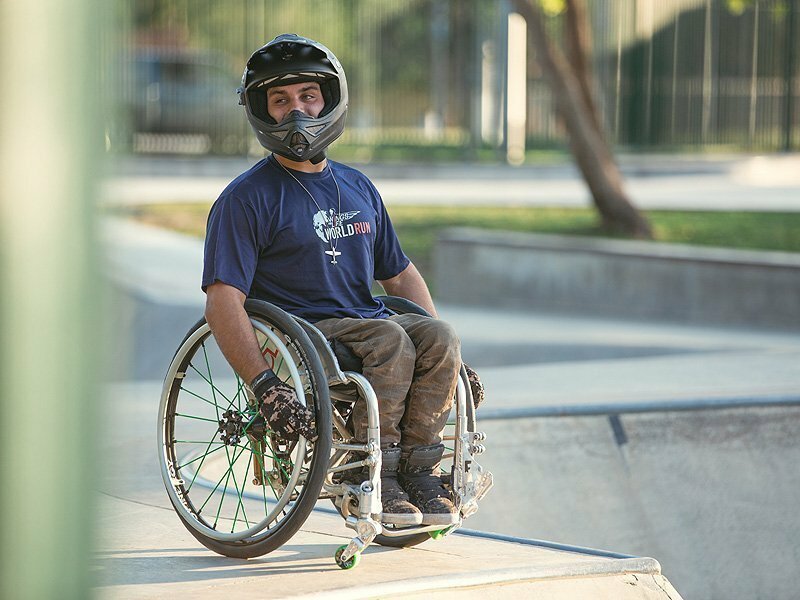 At 24, he’s now competing in national BMX competitions and doing what most pros can’t achieve. Fotheringham says at first he was falling on his hands and face a lot, but one clean landing was all it took for the sport to become his new passion in life. Now he competes against other BMXers and skaters and tours with Nitro Circus – an extreme sports stunt group founded by motocross rider Travis Pastrana. Not only is he the only person to compete in a wheelchair, he is also starting to set records. 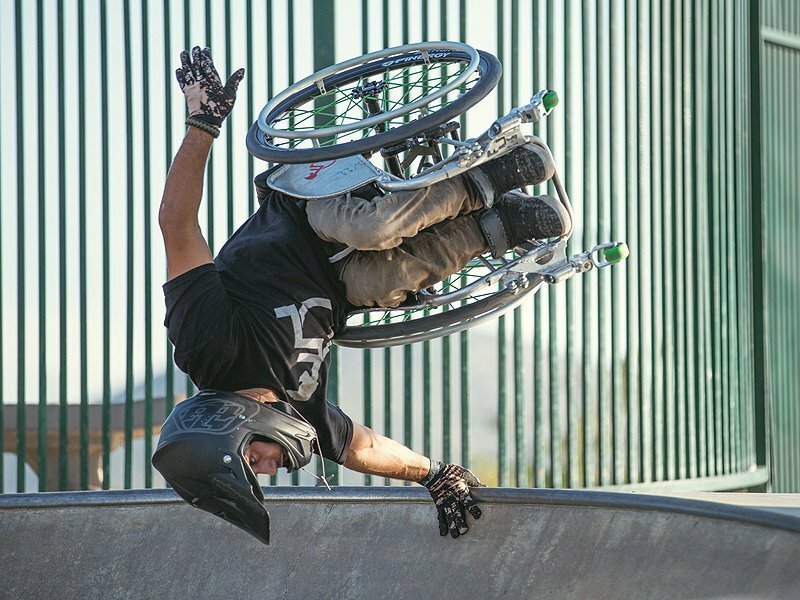 After practicing for an entire year – and suffering several concussions and breaking his wheelchair – Fotheringham completed the world’s first double backflip in a wheelchair in 2010. He also went on to complete a front flip in 2011 for the first time. “The double backflip almost sends me to the hospital every time, but the front flip is kind of gentle,” he assures. Now he is gearing up to be an ambassador for Wings For Life, a foundation that raises money for research for spinal cord injuries. The organization is hosting their annual World Run produced by Red Bull on May 8, in which people in 34 locations around the world will start running at the same time – the race ends when the last person finishes. 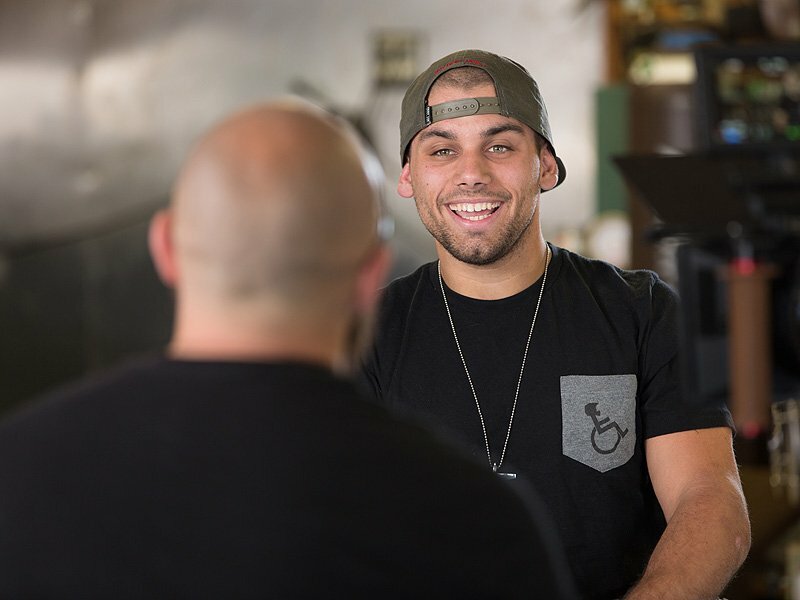 Fotheringham is sharing his story in a new video to get people to run on Team WHEELZ. All proceeds go toward finding a cure for spinal cord injuries. Being an ambassador is also a way to help relieve some of the existing stigma against people in wheelchairs. Fotheringham, who is the third of six adopted children, also credits his parents to supporting his passion.